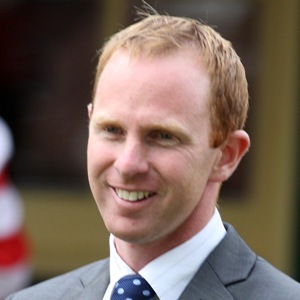 Former jump jockey David O’Meara has made rapid strides since switching to training in 2010. He started out as an amateur rider and partnered Bells Life to victory in the Fox Hunters’ Chase over the Grand National fences at Aintree in 2000. As a professional, the best horse he rode was Turgeonev. His training career only began in June 2010, when he took over the licence from James Hetherton at Arthington Barn Stables in Nawton, North Yorkshire. He made an immediate impression, training 24 winners by the end of the year. He made an impact in the QIPCO British Champions Series in 2011 when Blue Bajan finished second behind Duncan in the Emirates Airline Yorkshire Cup, the first race in the Long Distance category. O’Meara’s career continued to progress onwards and upwards in 2012. His best performer that year was Penitent, who won the Listed Doncaster Mile and the Group 2 bet365 Mile at Sandown Park before giving his trainer a first QIPCO British Champions Series success when taking the Nayef Joel Stakes at Newmarket on September 28 though he could only finish fourth in the race in 2013 on unsuitably fast ground. He landed his first Group 1 race when G Force landed the Betfred Sprint Cup, another QIPCO British Champions Series victory, and followed that with victory in the Shadwell Joel Stakes courtesy of Custom Cut who has won five races in a row. In 2015, he also landed the Group 1 Qipco Falmouth Stakes courtesy of the four-year-old filly Amazing Maria, who had joined his yard from Ed Dunlop at the beginning of that season.